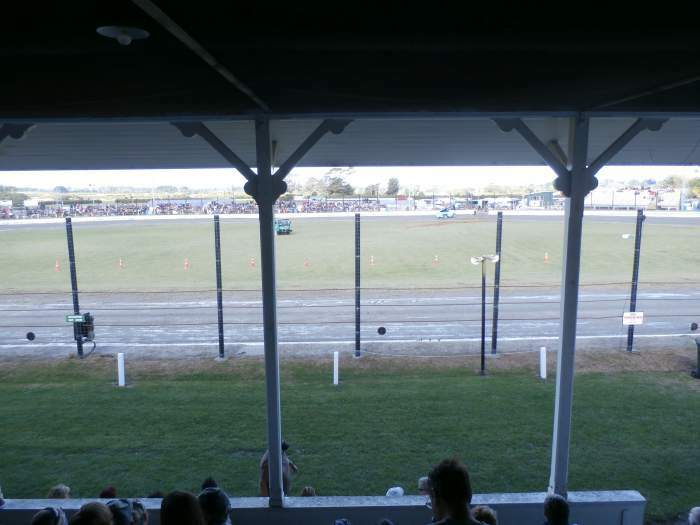 Location - The track is located right next to downtown Stratford. Coming from the North take either State Highway 3 or 3a (depending on your initial destination) to Inglewood. 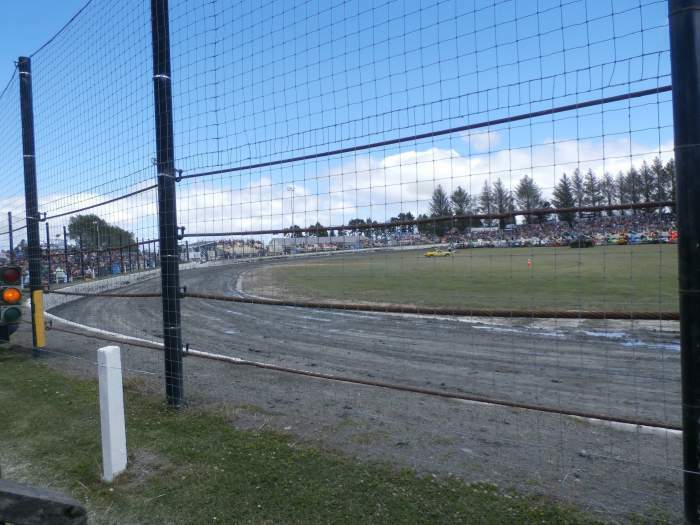 Then it's State Highway 3 all the way to the track. The track is located on your left just prior to reaching Stratford. From the South it's State Highway 3 north from Hawera and the track is just after downtown Stratford on your right. For those from slightly further afield State Highway 43 might look tempting on a map. If you want to add some adventure to your travels then by all means give it a go but this "road" is one of the more exciting pieces of roading in the North Island! Parking - Is in the fields that surround the track. 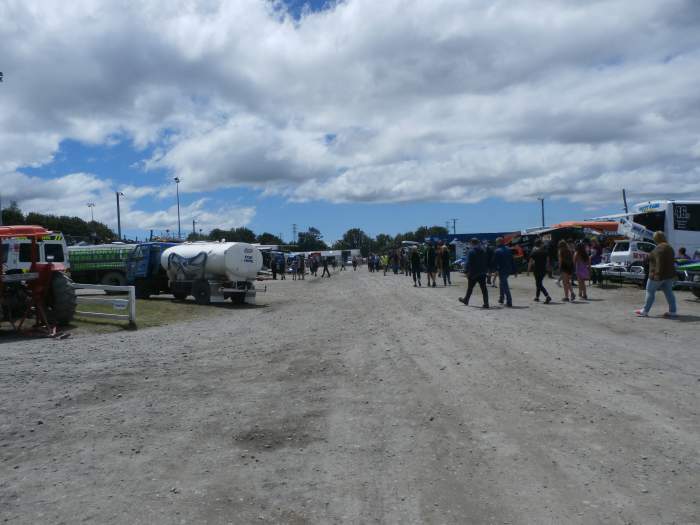 Stratford Speedway is one of the more spatial tracks in terms of pit space and carparking facilities so there should be no problems finding a space to park your ride. 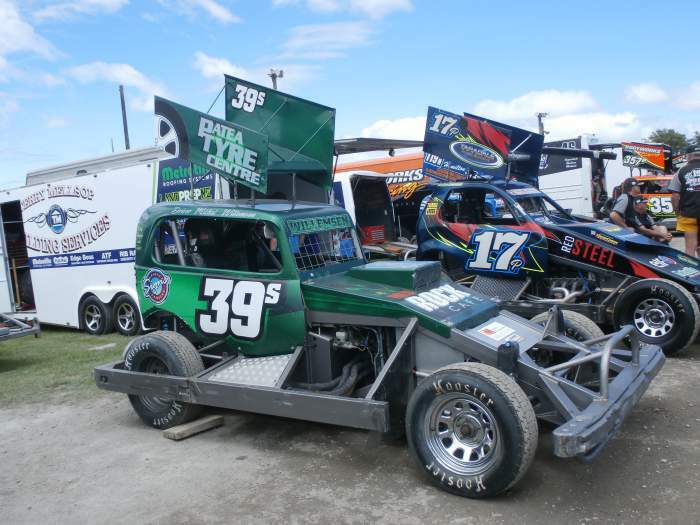 Premiere Meeting - The Under 23 Stockcar event has quickly established itself on the annual calendar. With so many talented drivers coming out of youth classes and the proximity to the heartland of the class, this event always gathers a talented entry list. Also worth attending - The rest of the calendar is a little void of big events. 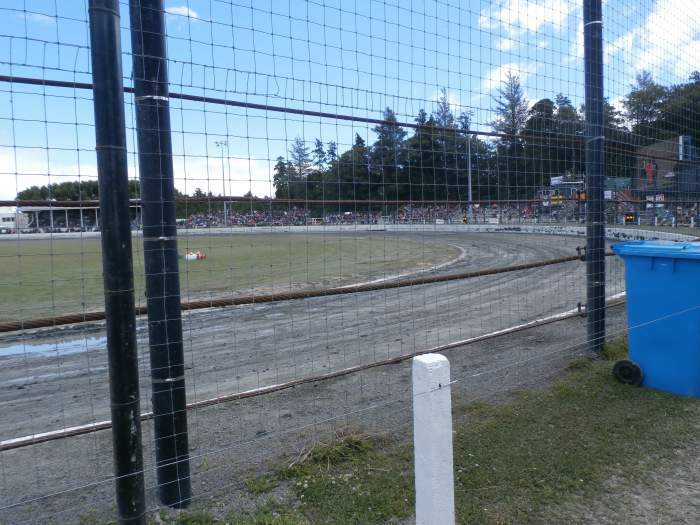 Perhaps the Taranaki Superstock Champs or Boxing Night might be worth a look. 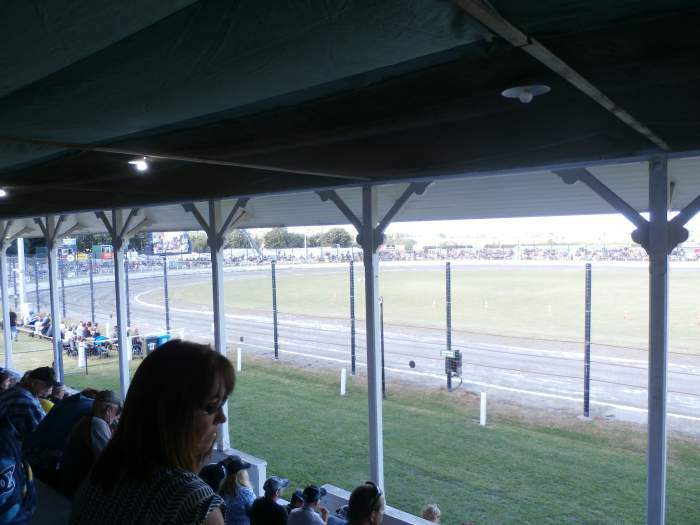 Best spot to sit - The Grandstand on the main straight is where you want to be. Though those not athletically gifted may want to sit a little lower in this steep stand the spot to be is in the back row which features back support. The stand features excellent natural climate control, cooler in the heat of the sun whilst retaining the heat through those cold Stratford nights. When exiting the stand put on an extra layer. The cold will hit you when you exit the stand. If you like to sit a little closer to the action turn 4 looks to be an exciting spot. Uniqueness - From the outside the track seems to have relatively short straights with long sweeping corners at each end. 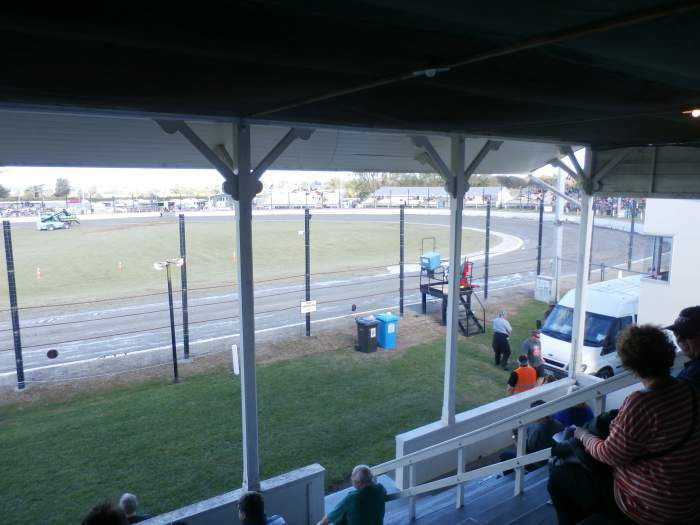 It looks like the sort of track that given the right track conditions could equally cater to contact and non-contact classes alike. When Percy visited turn 4 seemed to jump out at cars so that could be an action spot to keep an eye on.